The future of your company is dependent upon it staying relevant. In this day and age, that means that new, innovative products must keep pace with the marketplace. Product development lifecycle times are becoming shorter and shorter to keep up with customer’s expectations and needs. While perhaps daunting, a short lifecycle can optimize your company’s strengths by tightening processes and cutting out extra steps. The following guide is a comprehensive lesson on product development for both new products and those undergoing a revamp. We explain what new product development is, as well as the history and pioneers of product development. Next, we delve into all of the different process models, including product development lifecycles, and discuss the best practices for developing your own processes along with some tips from our experts. Finally, we’ll take a closer look at new product development in marketing. What Is Fuzzy Front End, and Why Is It So Important in Product Development Processes? 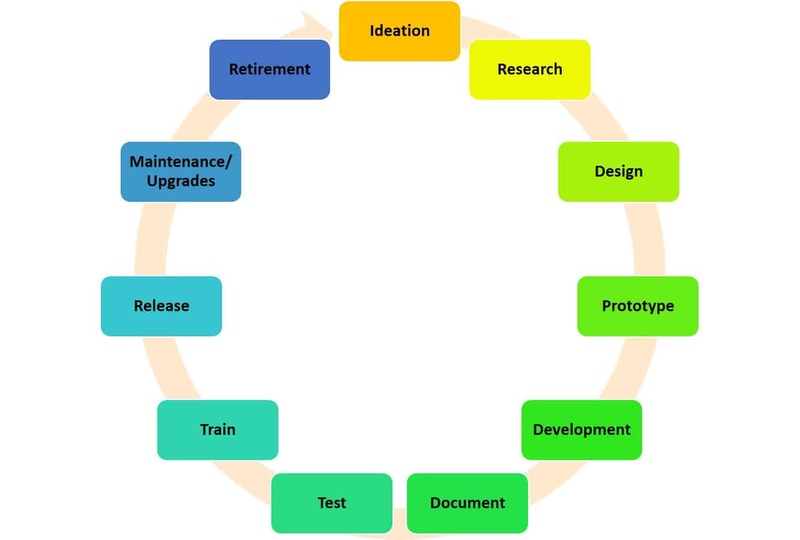 What Is the Product Development Lifecycle? How Fast Can You Get a Product to Market? Experts Weigh in on Product Development. What Is Product Development in Marketing? New Product Development (NPD) is the total process that takes a service or a product from conception to market. New or rebranded products and services are meant to fill a consumer demand or an opportunity in the marketplace. The steps in product development include drafting the concept, creating the design, developing the product or service, and defining the marketing. A new product opens a whole new market: It can completely replace a current product, take over an existing product, or simply broaden the market for something that already exists. Sometimes existing products are introduced to new markets, repackaged, or marketed differently. New products can improve the use of a company’s resources, launch a company into a new market or segment of the market, improve the relationship a company has with its distributors, or increase or defend a company’s market share. New products generally differ from a product line extension, which are products that are slightly different to the company’s existing array of offerings. Examples of new goods include mass-market microwaves and Keurig one-cup gourmet coffee machines. In the case of microwaves, a whole new market was born when they were mass-produced and offered at reasonable household prices. In the case of the Keurig machine, the gourmet coffee experience previously only found in a coffee shop was brought into the home. Examples of product line extensions include the Infiniti automobile line and Diet Coke. For the Infiniti line, Nissan targeted the premium vehicle market by extending their auto line at a higher price point. Coca-Cola company used Diet Coke to target the market of soda drinkers that wanted a lower calorie soda than their regular Coke product. Both of these products capitalized on pre-existing products that had already garnered brand loyalty. 1. Fuzzy Front-End (FFE): FFE, often called the ideation step, is considered one of the best opportunities for driving innovation in a company. FFE is not frequently mapped in any formal way, since this is the phase where you pitch all of your great ideas for solutions to your customer’s problems. FFE is called fuzzy because it occurs before any formal development starts, in the vague period where little structure or defined direction exists. Very few products that are originally pitched in FFE come out of it; however, this stage of pre-development is critical. Successful completion of pre-development can take you seamlessly into development. Determining the innovation goal. This preliminary analysis is your opportunity to figure out what problem you need to solve for your customers before you make a product. For example, one big failure in the annals of product history is Google Glass. Google made a device without considering what problems they were solving for their customers. Therefore, their product was a monumental (and very expensive) failure. Figuring out what your customers think about this goal. People will buy a product or service that solves a problem for them, but the problem itself must be present. Products that customers don’t need, didn’t ask for, or degrade your brand loyalty are unsuccessful. For example, in 1985 Coca-Cola Company released New Coke, a revamp of their classic Coca-Cola beverage formula. This reformulation changed a 100-year old recipe based upon market taste research. However, once New Coke was launched, consumer outcry was overwhelming. Within 79 days, the company replaced New Coke with the original Coca-Cola formula repackaged as “Classic Coca-Cola.” New Coke is now widely considered the biggest commercial marketing blunder of all time. Reviewing other market segments for possible connections or technology to get ideas. When thinking about new products, it’s important to collect data on how people are using the product, how much they will pay, and whether the price for the benefit is reasonable. During your market research phase, you should also review the market size and conduct a segmentation analysis. Prototyping your ideas. A prototype is a mockup of the proposed product, intended to verify your design. The extent of the product prototype is dependent upon your company’s needs. Some companies need a fully-functional model to show how the product works, while some companies will only require a 3D representation. Further, you should test your prototype in different use-case scenarios and identify its points of failure. Testing your ideas with your customer base. You should conduct a customer value assessment to obtain the opinion of a sample of your target market. This assessment helps to adequately predict the response to the release of your product. Experts say that early customer involvement cuts down on uncertainty and helps make product objectives clear product. This is called listening to the voice of the customer (VoC). Planning how to funnel these potential products into your product development process. Planning is the initial stage of deciding how to develop, mass produce, and market the new prototype. This is your opportunity to conduct a technical assessment, and also your source-of-supply assessment. Fit your company skill sets. Fit the interest of your company. Solve a problem for someone. Be something that someone will buy. Use these criteria to whittle down your ideas into manageable new products for your company and keep innovation in check. Not every “great idea” is appropriate for every company to develop. 2. Design: Once a product is more than just a notion, the next step in the product development process is the product design. Some of these activities may have been started in FFE, but in this step, all of the planning goes into high gear so that you capture both the high-level design processes and detail-level requirements. This step is mostly about validating the manufacturing feasibility of the product, and how you’ll integrate the internal components of the design. 3. Implementation: During this phase of development, you will determine whether your prototype meets your design and requirements specifications from the previous steps, and you will also figure out how to deliver the product and provide support for your customers. At this point, you prepare your facilities that will manufacture, provide the supplies for, transport, and distribute the product. 4. Fuzzy Back-End (FBE): This stage is sometimes called the “messy” back-end of innovation. This process is not considered as fun as the innovation process because in FBE, fun meets the execution processes and you must be disciplined about the release. This is the true commercialization phase where production and product launch happen in a structured way. In other words, the FBE is where the product truly comes to life in the marketplace, executing a company’s strategic vision. Breakthrough Products: The type of product that most people immediately think about when they think about innovation. The product may be new to the company or the world and may offer a huge improvement in performance, a great reduction in cost, or a leap in technology. Sometimes these products converge technology so that several different products come together to create something new. These products come on strong in the market, then quickly drop to a lower level of performance as other manufacturers catch up. Many of Apple’s products in Steve Jobs’ era were considered breakthrough products, such as the iPhone. Incremental Products: Also known as sustaining products, they often reduce costs, improve existing product lines, reposition existing products in new markets, or are an addition to an existing platform. They generally improve the current product with new generations. Sustaining products are critical in the market because they usually perform pretty well and extend the life cycle of the breakthrough product before they taper off. Profitability is maximized in the incremental product because it generates revenue for future development without incurring huge development costs. Platform Products: These products set the basic architecture for a next-generation product. They are larger in scope than incremental products. You may use the basic design of platform products for several products in a family and can satisfy a variety of markets. Disruptive Products: These products have a longer initial gestation period upon release, but then have enormous growth. Disruptive innovations are those that offer simple, low-cost solutions to your customers’ problems. They disrupt market-leading products by offering low-quality products, then improving the quality until they capture the mainstream market. For example, when Netflix came out it wasn’t a disruptor because customers didn't get the immediate gratification of getting their movies like they could by going to the Blockbuster store. However, as Netflix’s service improved, shortening the time to deliver movies and eventually streaming them online, they put Blockbuster stores out of business. Projects are completed faster when they have less going on at one time. Relieving bottlenecks is critical to improving time-to-market benefits. Improving processes by decreasing variation and waste allows for more creativity and better development. Further, once companies learned that they should take and plan all of their development projects collectively, they could develop according to strategic priorities and stop falling behind in deadlines. Product Development and Management Association (PDMA): This organization is the certifying body for the New Product Development Professional (NPDP) certification. As of 2017, they have about 3,000 members in 50 countries, but only have chapters in the U.S. and Canada. They have been around since 1976, and focus on the whole set of development activities, from conception to the sunset of products. They also focus on current research in new product development and partner with many commercial organizations. Membership costs about $200. Association of International Product Marketing & Management (AIPMM): This organization is the certifying body for the Certified Product Manager, the Certified Product Marketing Manager, the Agile Certified Product Manager, the Agile Certified Product Manager Product Owner, the Certified Innovation Leader, and the Certified Brand Manager. The group also focus on the whole product development lifecycle. Founded in 1998, they have members in 75 countries, and they comply with the requirements of ANSI/ISO/IEC 17024:2012, for certifying bodies. Membership fees range from $125-$175, depending on the products you request. The International Society for Professional Innovation Management (ISPIM): This organization started in Norway in 1973 with the intent of introducing products and tools for innovation management research. Its 400+ members reside in 70 countries, and the group hosts scientific conferences and produces publications for the product development industry. Membership fees are between about $100-$200, depending on your status as a professional or student. ISPIM is not a certifying body. Society of Concurrent Product Development (SCPD): This organization bills itself as an educational society who puts out the latest information on product development. They are supporters of technology, especially for concurrent product development (CPD), or concurrent engineering. Their memberships fees range between free and $75 annually. The following are the most commonly used models, with varying levels of utility and success for different companies. The Scorecard-Markov model: The Markov analysis model is a mathematical model that deals with the probabilities of things happening. These things are divided into the past, present, and future. The past isn’t as relevant as the present, because the present gives us the probability of something happening in the future. The Markov model is especially helpful in scenarios where there are transitions from one state to another. In this model, you develop a matrix that represents the transition states and how likely they are to go from one to another, and apply it to the Scorecard-Markov model to make new product screening decisions. 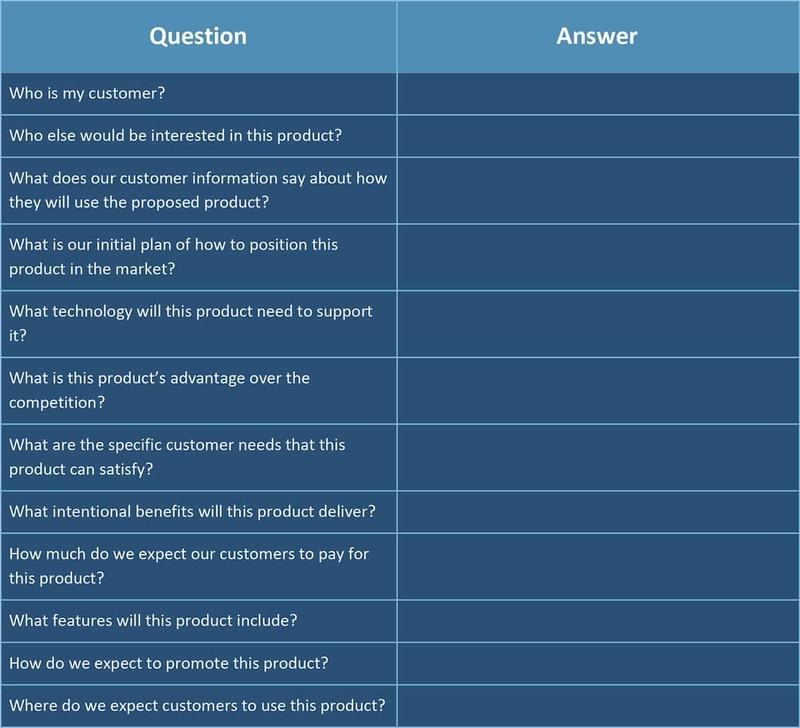 Developed to act as a scorecard for new product ideas, the matrix includes your customers’ needs, the strength of your marketing, your company’s competency, the compatibility of your manufacturing, and your distribution channels. In other words, this model is used to whittle down all of your ideas from FFE to ones that make mathematical sense for your company. It is a formal, evidenced-based process for the people you report to who want “real data” on why some ideas make it out of FFE and some do not. The Stage-Gate model: Also known as the Phase-Gate model, this is a project management approach that divides up the process of developing new products into a funnel system. Once each stage of product development is complete, it passes through a management-approved gate prior to moving onto the next stage. Sometimes stages are processed simultaneously. In this model, companies save money by filtering out the bad concepts and ideas through a funnel by the time the process is complete. In a study in 2010 by the American Productivity & Quality Center (APQC), the Stage-Gate model was the most popular system for new product development in the United States - 88 percent of businesses use it. Originally, Robert G. Cooper developed this eight-step model in the 1980s, boasting a 30 percent cycle reduction time. Dr. Cooper developed the Stage-Gate model using benchmarking research, on the premise of determining why some products succeed and some fail. Benchmarking in the Stage-Gate model is evaluating your process against other processes or standards of product innovation in the industry. The following eight stages were developed to improve the new product’s marketability and your team’s productivity once you have a product idea. After each stage is complete, you must decide whether or not to continue. Your company has a product idea. The first step counts on your performance of a SWOT analysis. In a SWOT analysis, also known as a SWOT matrix, you perform a basic scan of your organization’s Strengths, Weaknesses, Opportunities, and Threats. Strengths and Weaknesses are internal to your company, whereas the Opportunities and Threats are external. Things to consider during your SWOT analysis are the current marketing trends, return on investment (ROI), and any notable costs such as distribution. This step is where you develop the roadmap for the product. Many experts advise developing more than one road map scaled to fit different risk levels. In this step, an objective group or committee reviews criteria that you developed and decides to either continue or drop a project. This step is done quickly so that you drop any ideas that do not make the cut. Market potential, competition, ROI, and realistic production costs should be part of the criteria. In this step, you are testing the concept with your customers. This is after the internal screening step, so the picture itself is more firm. The customers should be able to display their understanding of the product, and say whether they want or need it. Their feedback gives your company some marketing ideas and potential tweaks to the product itself. In this step, you have a fully formed product; the concept has been reviewed internally and externally. At this time, you can develop a set of metrics and a business case. The metrics should include the development time, the value of any launched products, the sales figures, and other data that shows the utility of your process. The business case should paint a complete picture of the product, from the marketing strategy to the expected revenue. This is the step where your product takes flight. You are getting ready for consumer testing, so the technical team must complete your design. During this step, you should complete beta versions, settle on manufacturing methods, and address packaging. In this step, the whole concept is together and pitched to your consumer test group as the beta test. In this way, you validate your concept. At this time, you should work out any technical issues with the product. This is the step that finally takes your product to launch in the marketplace. Complete final marketing and prices, and give the finalized details to rest of your company - especially the sales and distribution teams. Set up technical support to monitor customer’ needs. The following picture illustrates where the stages are in the new model. Decreasing the number of steps also decreases the number of decision points, which streamlines your process. All of the previous processes outlined had aspects of new product development in them. However, the Product Development Lifecycle (PDLC) encompasses every phase of a product, from the idea to retirement. You should approach product planning with an organized, thoughtful process, so that you don’t have poorly implemented products that are either unnecessary, unwanted, or overly expensive. Many different PDLCs have been produced for product and service development, including separate ones for new software development. 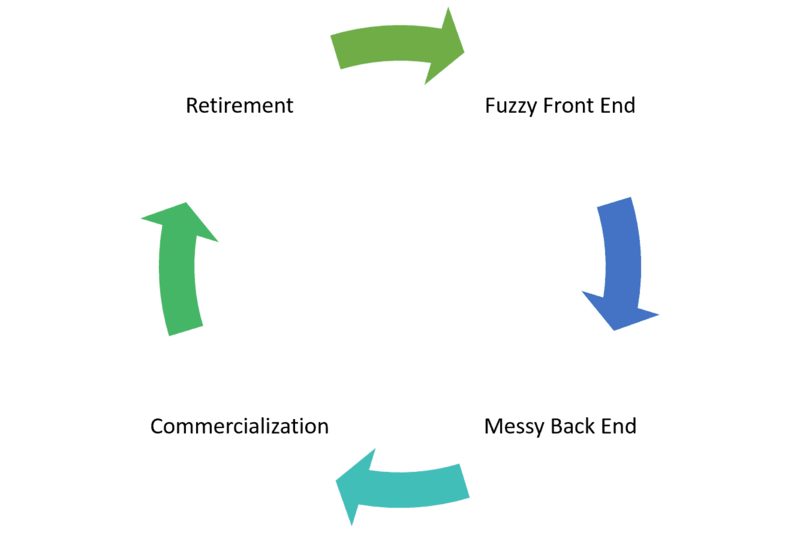 However, experts recommend that your cycle reflects your company’s unique processes and needs. Some example follow. You can view PDLC at a high-level, including the four stages of the fuzzy front end, messy back end, commercialization, and retirement. Lean Product Development (LPD): Lean product development uses the lean principles of innovation, shortening development time, and redevelopment cycles, and employs low development costs, low production cycles, and low production costs to develop new products. Allen Ward, who wrote Lean Product and Process Development states that Lean principles increase innovation by a factor of ten, and increase the introduction of new products by 400 to 500 percent. Lean divides new product development into what customers wish for, want, and need. Design for Six Sigma (DFSS): DFSS is a process management technique that is related to the traditional Six Sigma (SS) methodology. However, it differs from the traditional methodology in that DFSS does not focus on improvement of an existing process or processes, but on preventing process problems at the beginning. DFSS, like SS, focuses on measurement. Implement DFSS by performing these steps: define, measure, analyze, design, verify (DMADV). By contrast, the steps in SS are define, measure, analyze, improve, control (DMAIC). Flexible Product Development: This methodology for product development is counter to many popular development methodologies such as LPD and DFSS. This method encourages the company to continually make changes, even late into development, by remaining agile. The techniques used to produce this agility (which keeps the cost of change low) include modular architectures, experimentation and using an iterative approach to design, set-based design, and allowing new processes to develop as the product develops. In Flexible Product Development: Building Agility for Changing Markets, Preston Smith says that innovation only declines when using processes like Six Sigma and Lean because they are much too rigid for breakthroughs to happen. Quality Function Deployment (QFD): This methodology is a concurrent engineering approach where quality is designed into products, not discovered as missing or present later. Quality is defined as when a product meets the needs of the customer while providing value. QFD pays special attention to the “voice of the customer” through interviews, surveys, focus groups, reports, and observation. This data is then put into a matrix for product planning and designed from their inputs. QFD includes the whole company in product development, including departments such as marketing, quality, engineering, and finance, which makes the approach more balanced and realistic. User-Centered Design (UCD): Also known as user-driven development (UDD), this methodology places usability at the core of each design step. You must validate each usability assumption in real world testing. The biggest difference between UCD and everything else is that UCD optimizes how people already do things. There is no movement toward changing their experience. Design for Manufacturing (DFM) and Design for Assembly (DFA): The manufacturing industry uses both DFM and DFA, and are examples of concurrent engineering design. DFM designs with the idea that manufacturing is easier to achieve, while DFA designs intentionally for the ease of assembly. Both have specified rules to accomplish them. No discussion of process methodology would be complete without acknowledging the more recent capabilities that technology has to offer. Virtual product development (VPD), especially in markets where competition is fierce and the lead time for new products in necessarily short, is a great alternative to developing physical prototypes before production. VPD is the production of prototypes in a digital 2D or 3D setting. You can design, test, stage, and plan the manufacturing of a product in a digital environment. VPD is now done in almost every industry from fashion to manufacturing, although it was traditionally used in construction. Aside from the speed to manufacturing, it allows teams to work remotely, decreasing the general and administrative costs of personnel, and considerably decreasing the development cycle time. Before VPD, a 24-hour development cycle was unheard of. Now, it’s a reality. Especially in a tough economy, innovation may be necessary because it makes companies more competitive. Even though the natural managerial response to an economic downturn is to reduce spending, it would be ill-advised in development. Innovation can reposition a company in the marketplace and grow it for the future. Whether you are looking to improve your current processes or build new ones, there are some best practices and mistakes to avoid. Put your customer’s needs and wants first. Consider your profit margins early. Introduce at the right time. Use a process management approach. Integrate new product development within your company, not as a separate entity. Develop databases for your projects, including notes and the processes used. Have your engineers use development notebooks. Develop a central collection of results. Use market research and test market results. Develop a project management database. Develop technology and marketing databases. Create job performance reports on each of your projects. Follow up projects with seminars and workshops on any issues encountered. Publish in technical journals, at least occasionally, to move industry standards. Develop a model of product development for your company. Develop metrics for your product development process. Record snapshots of your design at major points during the process. Be consistent with your naming conventions. Where possible, minimize iterations of your products. Get team buy-in sooner, rather than later. Involve your overseas subsidiaries in your development process. Create cross-national teams for new idea generation. When possible, standardize your decision-making criteria. For many companies, decision-making is based on experience and may be difficult when you are creating a new development process. However, you should still give your teams the benefit of knowing what information management needs to make a decision, and give management the “real” picture that includes risks and problems without the fear of punitive action. With clear information requirements, your teams can give management a clear picture. Are your timelines already based upon a launch date? It’s tough when there is already a deadline before your team understands the customer needs or the product’s technical challenges. If your timelines are too aggressive, your team may be forced to put out ideas that are half as good or that don’t really meet your customer’s needs. Decisiveness is a trait of a good leader. It is absolutely appropriate to want as much information as possible before you make a decision, but in short development cycles, it is critical to weed out the additional options quickly so your team can focus. Pull down any functional silos. A cross-functional development team has the advantage of having the perspective of your full company. It would be frustrating and time wasting if you didn’t consider downstream stakeholders or missed significant opportunities simply because a representative from manufacturing or sales was not on your team. Further, with a cross-functional team, you ensure that your company objectives are cohesive. Ensure that your product is the best it can be. Some companies struggle with the idea of pushing back a launch. Remember: launching a product that is inferior to what you first projected is not better than pushing your launch back or even cancelling it. Should you find yourself in the unfortunate position where you have to decide to either push your launch back, cancel your launch completely, or launch what you have, run a cost-benefit analysis (CBA). Your CBA should especially take into account those items you noted on your risk register as possible if you skimp on quality or any step. It is true that sometimes rushing to market is necessary, even critical to securing your product’s rightful place. But at the end of the day, you must ask yourself: Is it worth alienating your customers with a sub-par product? If you have all of these things, the time it takes to get to market is only dependent upon whether your products satisfy your company’s strategic goals. Your core products will maintain a competitive edge regardless of their quality. Our experts have a lot to say about product development. We interviewed two experts with experience in software and new product development. “I have been the Project Manager for R&D for three and a half years. I consider myself a bit like a midwife, helping the development team bring new products into the world. The newer or how unique a new product is as compared to your current offerings, the more risks associated with it. Often small improvements over time can be the safer option. Emerging technologies and emerging markets can open up opportunities where it is worthwhile to build a new product farther outside the wheelhouse. Development of something truly new can offer a greater reward, but also more room for error! “The world of software is quickly moving and iterative. The world of products cannot adapt as quickly. That being said, 3D printing and other quick prototyping innovations have allowed for quicker turnaround times in product development. With less time needed, more innovation is taking place. However, patent law is no small boundary and many upstart inventors can find themselves in legal trouble because of unintentional infringement, or with other companies quickly copying their ideas before patents are securely in place. “As development processes improve, I see product development happening quicker and at a lower cost point for entry. At the same time, I am encouraged by the collaborative efforts made by development teams, often on open source products which are created purely for the joy of creation. 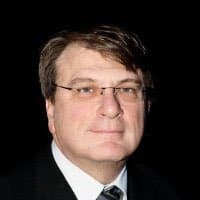 Our expert Dean Geraci, with more than 25 years of product development is the General Manager at ProMation Engineering, Inc. He tells us, “The most important aspect of new product development for newcomers it to follow the steps needed for any new product in a development pipeline. While called different things, each level needs to be completed before the next. First is Concept – What is the product and can it be made? Here customer requirements meet technical details. One might not have all the answers at this stage, but the essence is that can the product be made that meets market or customer needs. “The next stage (they are also called gates – because you need to pass through to get to the next) is Feasibility. This is probably the most important and takes considerable thought. Can and how do I make the product at the price point I need? Market research, component identification, capital requirements, initial business plan (including marketing) as well as many other aspects need to be fleshed out in this phase. Development/Qualification is the next phase. Sometimes these two aspects are combined, but many times are separated, especially if there is a regulatory need or extensive field testing of the product after making the initial run of products or first articles. Your product development marketing strategy helps you generate interest around your new or revamped product. 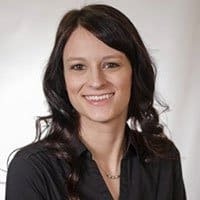 Your product marketing strategy incorporates your new product introduction process (NPI), which comes into effect after completing the design and testing. This is the stage where manufacturing takes over. In other words, this is where the prototype goes to full production and into a sale. NPI takes over where NPD leaves off. Get Your Strategy Ready Early: Your customers should be able to understand what your product does, how it compares to the competition, and what distinguishes it. You should be working on your marketing plan before your product leaves the FFE, and firm it up through development. Use Social Media: Your should build your product’s landing page as soon as it is out of development and vetted by your consumer test groups. Use your site’s available features to collect even more consumer information for your launch. Continue to keep your product momentum going by building a Facebook page and opening a Twitter account for your product. Get Internal Buy-in: Everyone in your company should be a cheerleader for the newest product. Further, anyone in your company can have an idea about its promotion, so listen to all of them - gems can turn up in the most unexpected places. Designate Your Goals and Budget: As your product is making its way, you will want to designate a team responsible for its launch. Your team can put together a comprehensive marketing project and budget. Develop Your Marketing Materials: It's time to put together your product marketing support with content, and your advertisement package. Internally, you will need to determine the product needs for customer support, warranty, and repairs. Smartsheet is a work management and automation platform that enables enterprises and teams to work better. Easily plan and track your new product and feature launches, and keep all team members informed of updates and changes. Smartsheet’s new product development solution helps you cut through the complexity and streamline coordination with built-in templates to help you organize and manage the core tasks and processes needed to bring a winning product to market – everything from early-stage market analysis to actual launch plans. Create reports and dashboards to provide real-time visibility into resources, status, and productivity so you can rapidly align operations to strategy.